Starry Night Ornament: A Quick and Easy Project for Scraps – No Sewing Required! 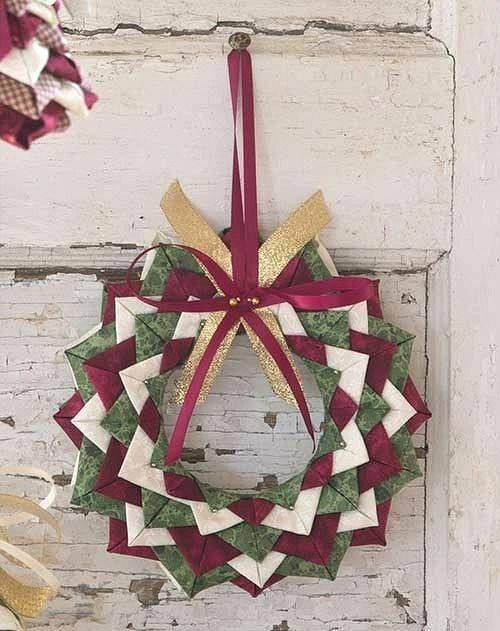 = This is made with small squares of fabric folded and pinned to a small Styrofoam wreath. Great way to use leftover fabric. You could use larger scraps with a larger Styrofoam wreath base.